Our design team works closely with our customers, creating composites designs at all levels – from concept evaluation through to final detailed design. The design team is responsible for the production of CAD geometry for tooling and products, drawings and ply books. CAD geometry is effectively a virtual part created by the designers, used to produce drawings that are then referenced during manufacture. 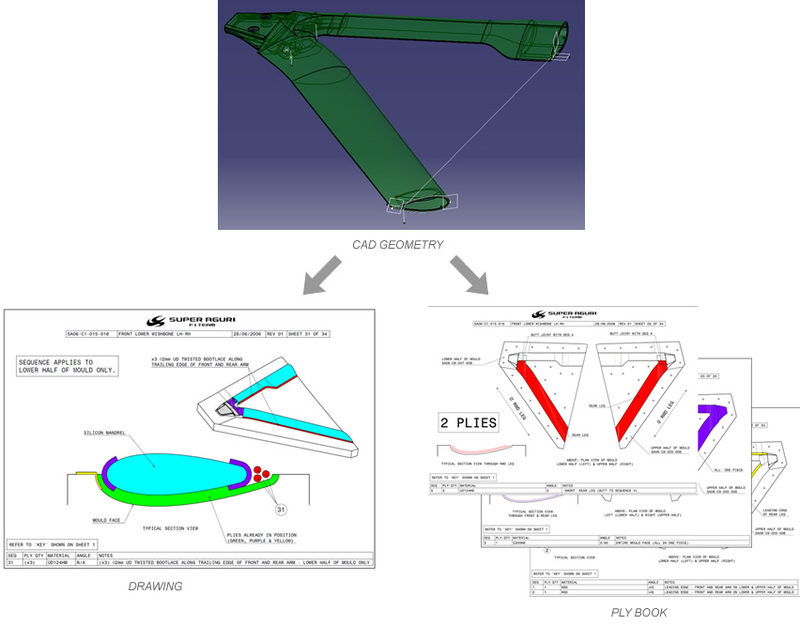 The beauty of CAD geometry is that it may easily be edited if the design constraints change, or if Finite Element Analyses indicate a change is required. Ply books are created to act as references during manufacture. They provide detail about which plies are to be placed where on the tooling, at which angle and in which order.